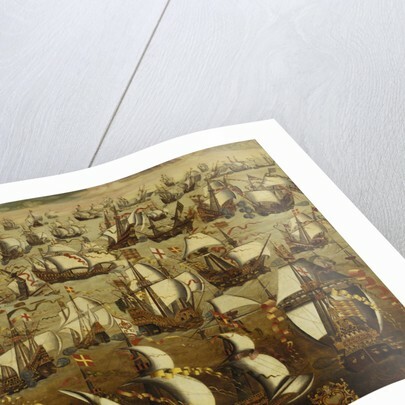 The painting may have been a design for a tapestry, or if not is laid out like one, and is dateable to the years immediately following the event. 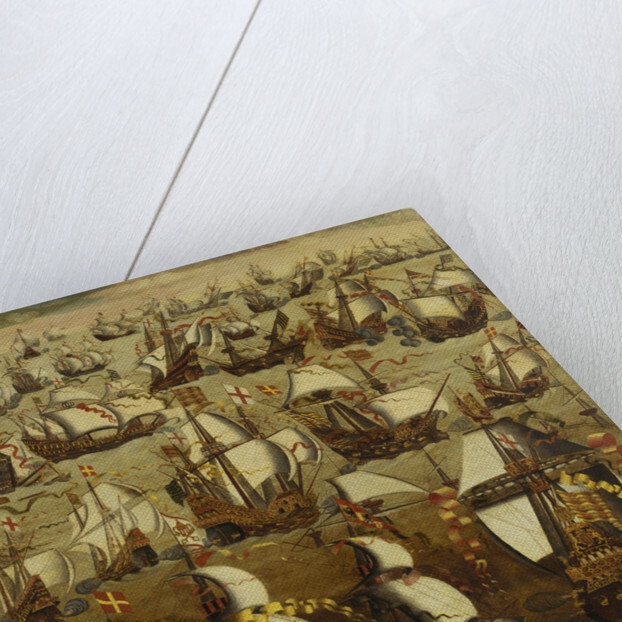 The composition appears less like a painting than as a formal design in a mannered style but no other contemporary image of the Armada conveys a comparable sense of the drama and colour of the confrontation between the two fleets. 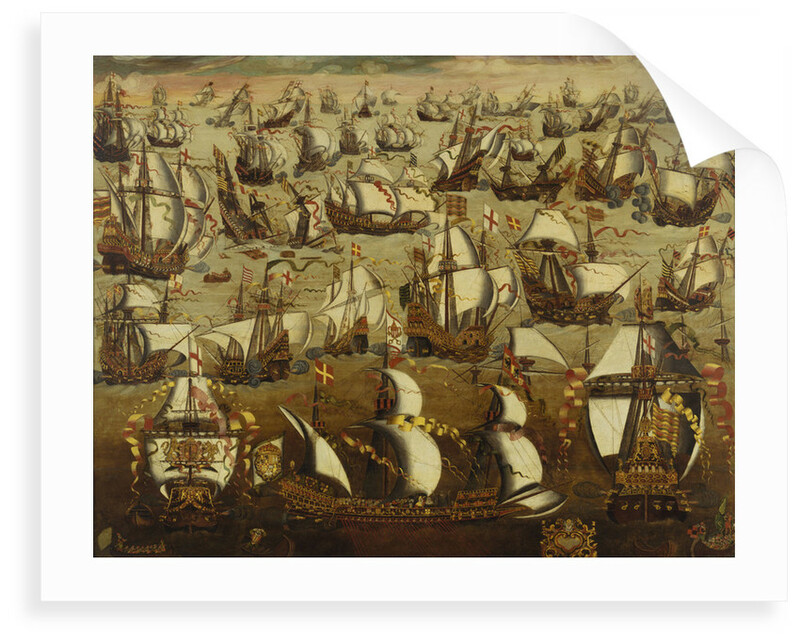 Although it is not exactly clear which part of the battle is shown (if indeed it is literal at all), it is most likely to be the action of Gravelines, the only point at which large numbers of ships from both sides were engaged in sustained conflict. 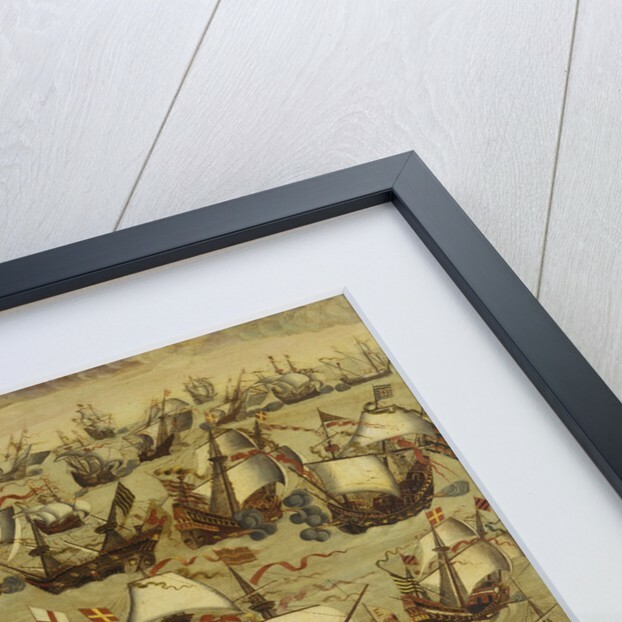 Explore the collections Bestsellers, Fine art, War at sea.